Pickup trucks are downright American. They began as functional workhorses in the twenties; by the fifties, they were symbols of toughness and know-how. For the last three decades, the best-selling vehicle in this country has been a pickup, the Ford F-150. While new pickups today can be anything you want them to be (hose ‘em out work trucks, luxury family rides, anything in between), nothing beats the charm of a truck from back in the day. There’s something fundamentally honest about vintage pickups. They were built to last, easy to maintain and, like a trusty dog, always up for companionship or adventure. And they can be found for a small pile of money. I’d even call them a good investment. Here’s what to look for, great trucks from each of the Big Three, followed by some lone wolves. 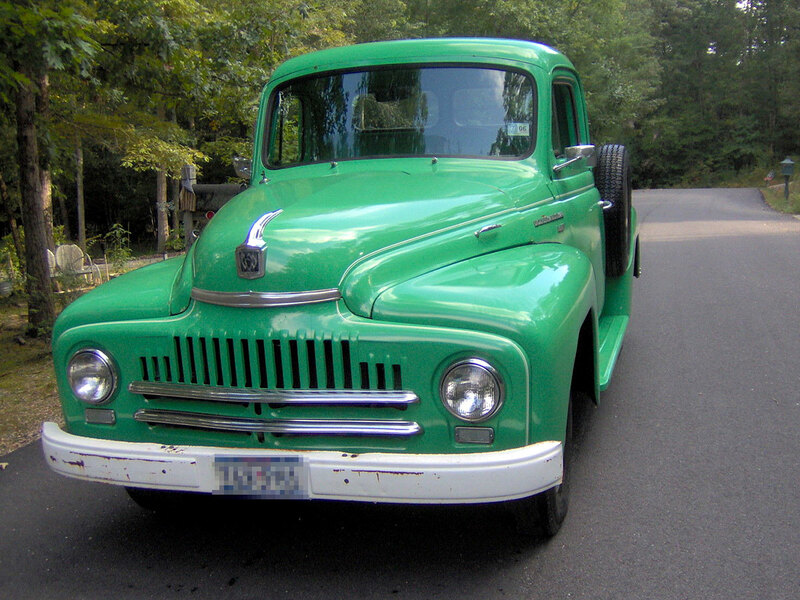 Chevy’s first postwar new truck is still a classic. “Bowties” from 1949 to 1952 are “Advance Design” Model 3100s; GMC’s are called Model FCs. Either way, they’re oddly stylish and rock-solid. 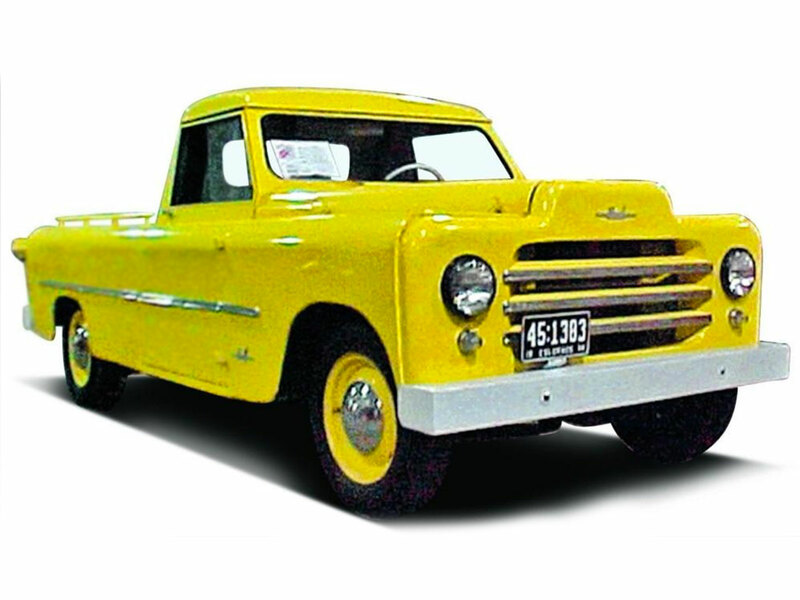 GM pickups came in several sizes with half-tons (1,000-pound payload) being the most popular. Don’t look for creature comforts: You get a hardly-adjustable vinyl bench seat, plain black rubber mats, old-style vent wing windows, a column shifter for the three-speed manual, and no air conditioning. Under the hood: GM’s rugged 216cid and, later, a 235cid overhead-valve inline-six. (No small-block V-8s until 1955.) There’s barely 100 horsepower and, of course, the thing rides like a truck. But what’s your hurry? Drives are meant to be savored. 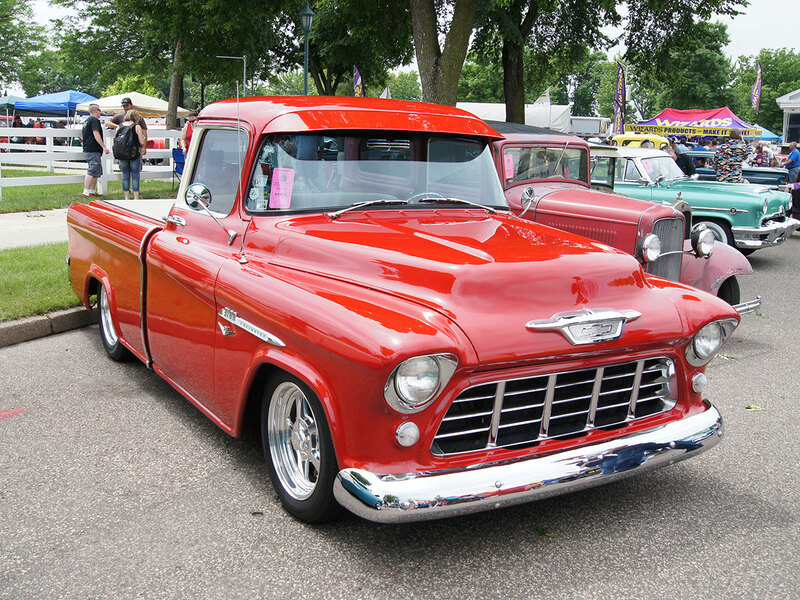 For 1955, Chevy realized owners wanted a more versatile work truck, something that could be taken to town Saturday night and driven to church Sunday morning. The classy Cameo started life as a deluxe cab, narrow box “Stepside” (narrow bed, step on each side for access) in the Task Force truck line. Then GM styling added fiberglass fenders and a tailgate panel to make it a “Fleetside” (full width bed, no steps). They also spruced the vehicle up with whitewalls and wheel covers for a smooth, custom look. It was a sales hit. For 1955, all Cameos were white with red accents, just the way the Corvette was first sold. Color choices jumped to eight in the following year. Most Cameos came with Chevy’s rugged Blue Flame six-cylinder, but the 265-cid V-8 was also available. Good Cameos today are more than our $12K budget, but you can find a running and restorable one if you look. NAPCO trucks are also a little out of our price range, but they’re a cult favorite and I’d be remiss not to didn’t mention them. Nearly every light truck on the road today offers off-road packages and four-wheel-drive. But, during the forties and early-fifties, General Motors turned to Northwestern Auto Parts Company to convert its light trucks to four-wheel-drive. From 1947 to 1955, dealers installed NAPCO conversions (no welding was needed—a good wrench could do the job in a couple hours). By 1957, Chevy was doing them at the factory. A variety of trucks got this treatment. Look for the NAPCO letters cast into the front axle. Long before the F-150, Ford’s solid F-1 pickups were built by the hundreds of thousands. So although many were driven hard and put away wet, they’re still out there. 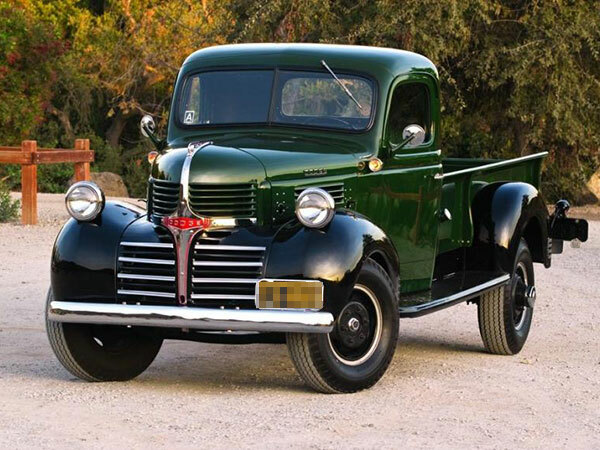 Starting in 1948, the F-1—a charming blend of prewar and postwar styling—was America’s top-selling pickup for three years, before giving way to the company’s first thoroughly modern half-ton, the “Economy Line” F-100, in 1953. Nearly everything was new with the F-100, from the stylish cab and hefty fenders, to the longer springs and self-energizing brakes. In 1954, the venerable flathead was replaced with a 239-cid overhead-valve V-8, and there was an optional Ford-O-Matic transmission. 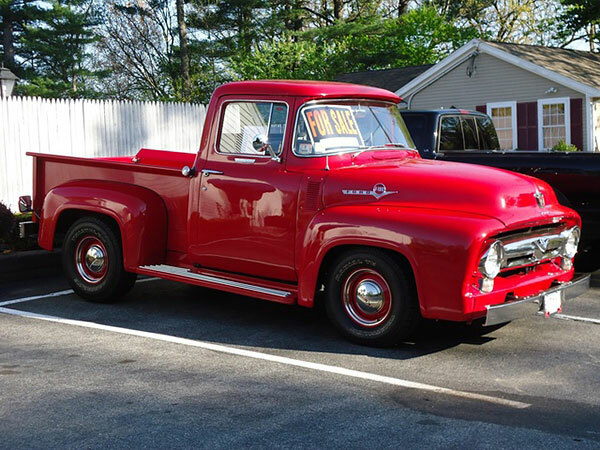 Ford soon added a panoramic windshield and for the “Custom Cab,” you got a “Big Window” backlight option that fashionably updated the F-100, and helped make it a prime collectable. These trucks sold into the early seventies, and are high on our cheap truck list. There’s a big reason why Ford’s been the best-selling pickup for decades. Spartan, simple, homely and high-riding, the earliest postwar Dodge pickups were close relatives to the military vehicles Dodge supplied during the war. Long before the Ram, Dodge’s “Job-Rated” light-duty trucks meant customers could select from a list of over 100 different models on several wheelbase lengths. Pickups came as half-tons, three-quarter-tons and 1-ton sizes; three-speed or a four-speed; normal or heavy-duty springs; and several rear-axle ratios. All Dodge pickups came with the body, lower grille, and hood painted a standard color, but the fenders were black; if you wanted your pickup all one color, it cost extra. If you can find a 1945 model today, you’ve struck gold. 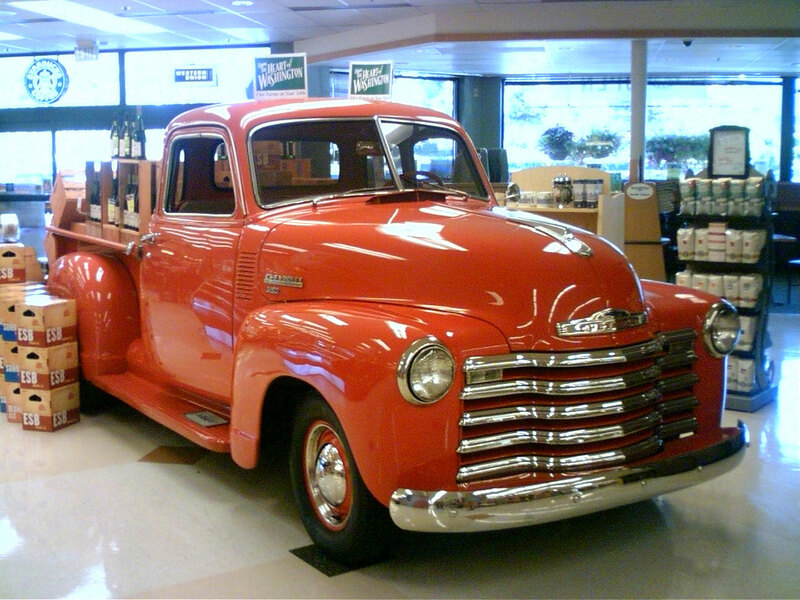 From 1948 to 1953, Dodge churned out “Pilothouse Era” pickups, so named because of their distinctive cab design. The trucks’ wheelbase was shorter than the “Job-Rated” predecessors, with more visibility and a much wider cab to accommodate three men. Curiously, you could service the entire truck—gas filler, oil filler, battery, generator master cylinder, and more—all from the left side. Nomenclature changed nearly every year as slight improvements were made. Fluid Drive, essentially a semi-automatic gearbox, came in 1950. Pilothouse trucks had a standard “low-side” pickup box and an optional but preferable “high-side” box for bigger loads. While the rugged six-cylinder, combat-proven all over the world, was virtually indestructible, Ford and GM were offering two more cylinders. Dodge had to follow. 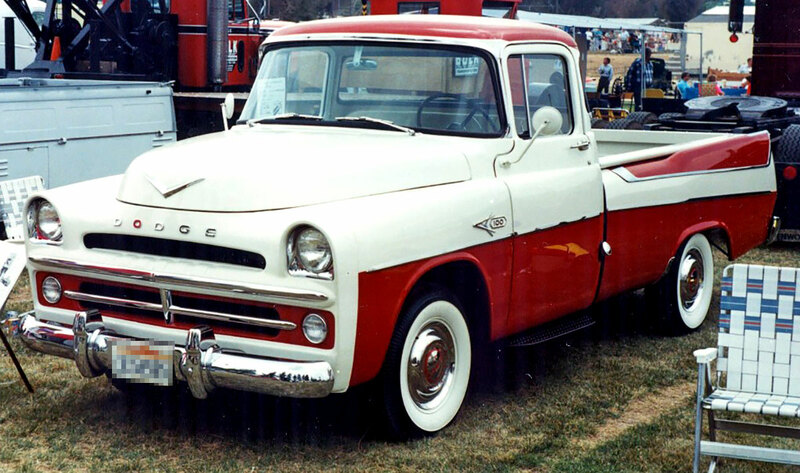 The restyled and updated V-8 era trucks, called the C Series, took the company from 1954 up to 1960. 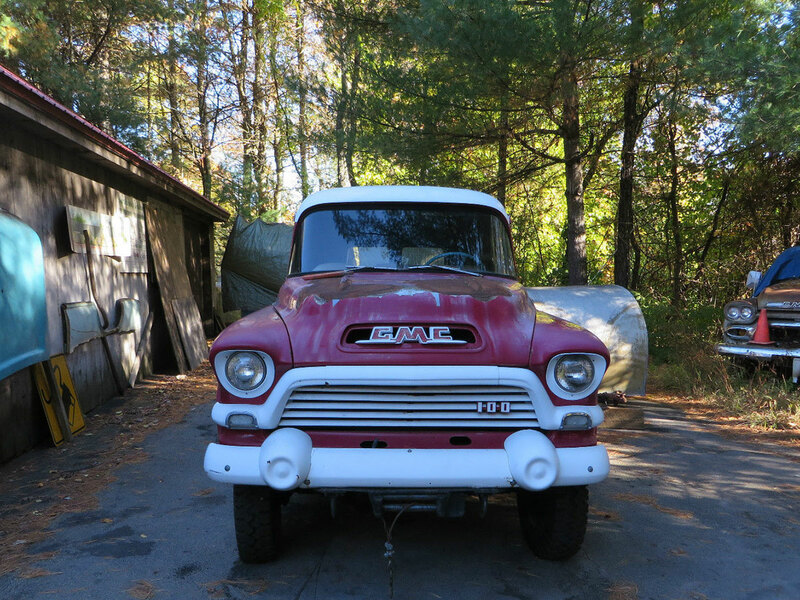 Less common than Chevys and Fords, and thus harder to find, classic Dodge trucks remain popular in rural areas. Bottom line: all of these old workhorses are primo cheap truck material. Want a rare truck that’ll really turn heads? Try to find a 1947 to 1963 Jeep pickup. Perched on a 118-inch wheelbase, with flat fenders and angular lines, Jeep pickups came in two- or four-wheel-drive, with a three- or four-speed manual gearbox. Earlier examples were powered by a “Go-Devil” four-cylinder flathead with 63 hp, then later a Hurricane inline-four and, finally, a Hurricane inline-six. 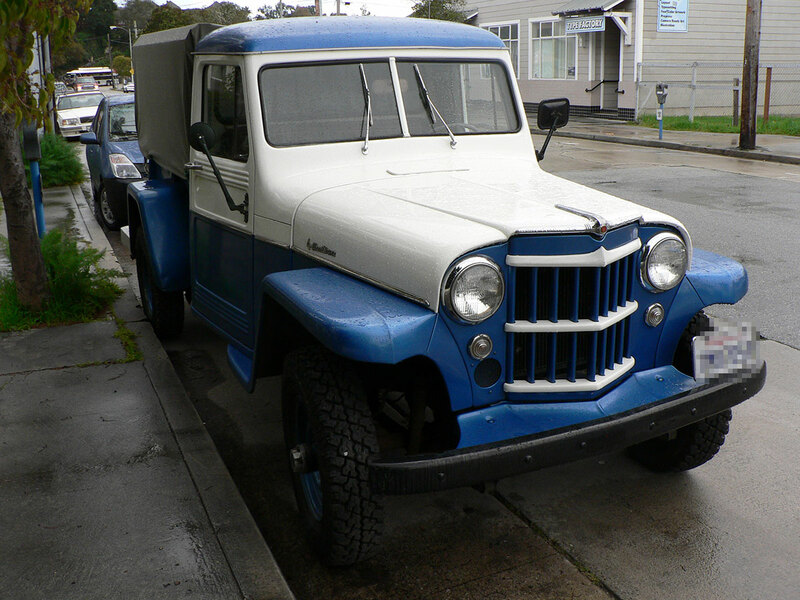 These square-rigged trucklets were virtually indestructible, and remained largely unchanged through the years (though Jeep did restyle the grille in 1950, and the split windshield gave way to a one-piece in 1958). Be sure to upgrade the drum brakes. International Harvester, later shortened to International, built high-wheeler cars at the dawn of the Auto Age and industrial trucks of all kinds. The company’s ubiquitous farm tractors made “Cornbinder Red” a household word. From 1940 to 1949, International’s K and KB-Series pickups resembled smaller versions of the company’s big rigs, adding to their appeal. During the fifties, International’s L, R and S-Series trucks rivaled the Big Three and, by 1960, International enjoyed a reputation of rugged dependability. All of the company’s pickups up through 1968 are highly desirable; if you want to be an individual, you can do a lot worse. And now for something completely different. If you’re looking for a cheap old truck that’ll stump all but the savviest car guys, hunt down a Powell. 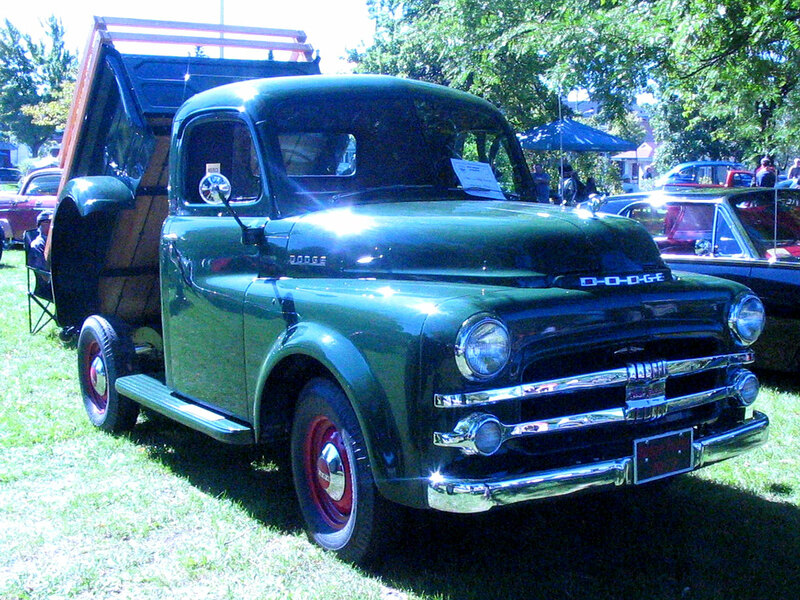 About 150 examples were built in Los Angeles during the late forties and early fifties—light-duty, quarter-ton pickups that would’ve been fine for light deliveries, gardeners, and handymen. The chassis and engine were Plymouth, although a few Dodge and Chrysler sixes probably found their way under that oddly-styled fiberglass front clip. There aren’t any curves. That 100-hp inline-six is something of a boat anchor. Best advice: Drop in a small-block V-8, and upgrade the shocks, brakes, wheels and tires. Tough and unusual, Powells still occasionally turn up on eBay, usually for under $5,000.